Jon Casanova Arellano and Kimberly (Kim) Ong are an awe inspiring and driven team. When it comes to this couple, no obstacle is too big to overcome. 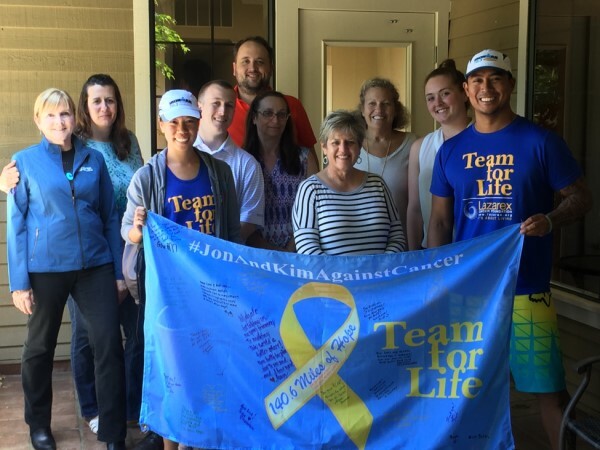 The biggest hurdle they have faced to date came in September 2012, when within a two-week span, both Jon’s mother and Kim were diagnosed with breast cancer. 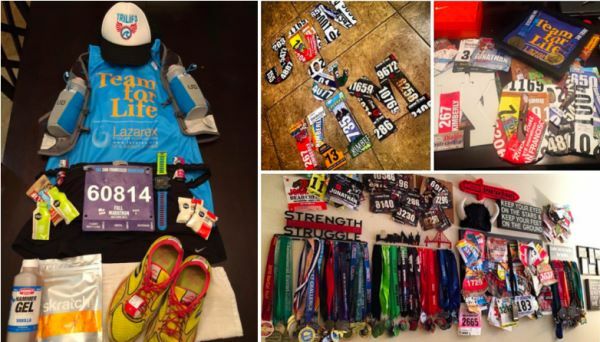 Not content with watching the disease impact their family and the world around them, the couple took to endurance sports in an attempt to raise money for Lazarex through the Team Lazarex (formerly known as Team for Life) program “Cancer Busters”. 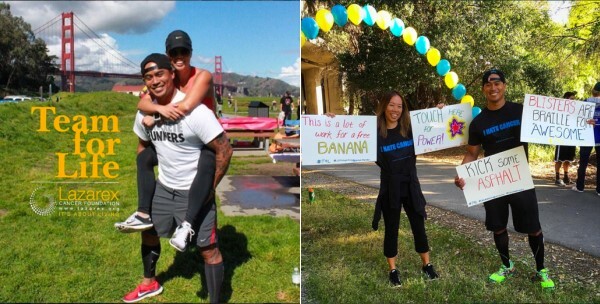 Unlike the popular option of running in a preselected race, the Cancer Busters program allows anyone to participate in an endurance event of his or her choice and fundraise in the name of Lazare. Jon and Kim have raised over $7,850 since 2014. They have also helped spread the word about Lazarex to people in the area and in a community that we are making an effort to reach. Jon and Kim have each had to face their own battles in the five years since the diagnoses shocked their family. It’s well known that fighting cancer can be physically, mentally, spiritually, and emotionally draining. 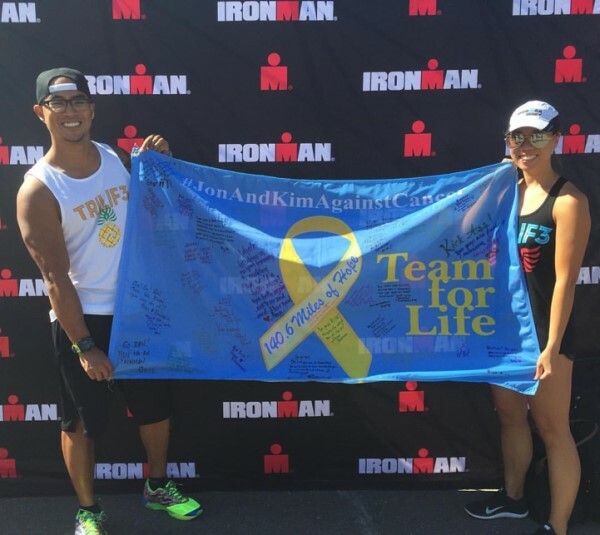 Despite facing the rigorous challenges that come with defeating breast cancer, Kim was right there training with Jon, the two of them often competing in the same events. Jon also had his own challenge to face as he was not in endurance competition form. 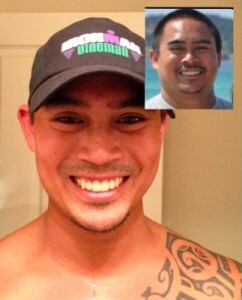 Over the years, Jon has worked to transform his body into tiptop shape, losing 55lbs in the process. During the past five years, Jon has participated in numerous 70.3-mile half triathlons, which has certainly not been easy. However, in 2015 he decided it was time to face the challenge of a 140.6-mile full triathlon. This behemoth of a race included a 2.4-mile swim, 112-mile bike ride, and 26.2-mile run. On July 29, 2016, after nearly a year of training, he completed his first full triathlon, the Ironman Vineman, with a blazing time of 15 hours 19 minutes and 2 seconds. Jon has no problem admitting how much he loathed his training for the grueling 140.6-mile full triathlon. 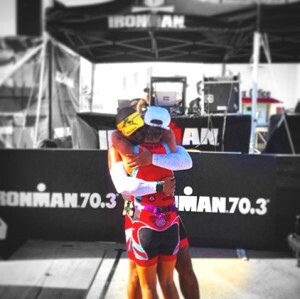 The mental toughness needed to tackle this Ironman race, which was twice the size of anything he had experienced before, was a major challenge. Fortunately, he had his two biggest role models by his side giving him inspiration whenever he felt down. Jon knew very well that making it through his endurance training paled in comparison to what his girlfriend and mother had to battle in their recovery from breast cancer. “I want you all to know how much I love Kimberly Ong. She is my everything and her love and support from day one is the main reason why I have the strength to endure not this challenge but all challenges in life. I could never imagine life without her. She and my mother are the reason why I do this. 2 breast cancer survivors who have more strength and courage inside them that can more than likely inspire the world. Live each day like it’s your last.